Steve Carnes resigned Wednesday as Leuzinger High's football coach, thus ending one of the most successful coaching reigns in South Bay history. 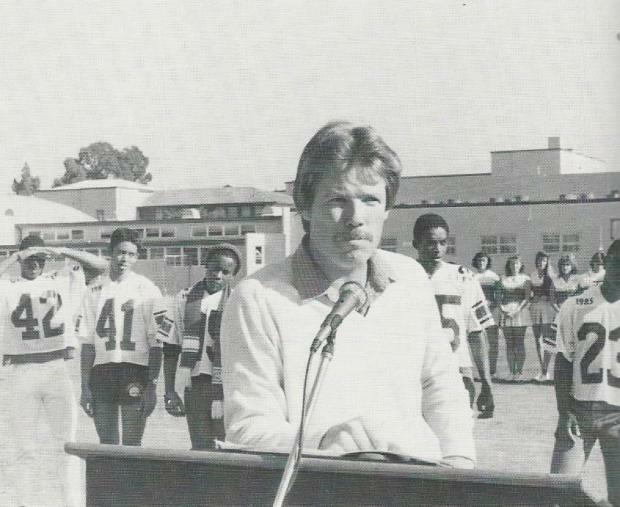 Carnes, who took over the program in 1984, guided the Olympians to seven playoff appearances, four league titles and a CIF championship during his seven seasons as coach. His teams never finished lower than third in league play. Even with that success, though, Carnes says he suffered from burnout. He decided this would be his last season as coach before the opening game. "Basically, I'm tired and kind of worn out," he said. "I need a change in my life at this point." Leuzinger's season ended Friday with a 31-7 loss to Esperanza of Anaheim. It marked the fourth consecutive year the Olympians lost in the CIF-Southern Section quarterfinals to either the eventual champion or a top-seeded team. Esperanza is ranked No. 1 in Division III. "I think Leuzinger High School has gone just about as far as I can take it," Carnes said. "I think it needs a change, maybe some new blood." Carnes guided Leuzinger to the school's only CIF football title in 1985. Led by quarterback Mike Reddington and receiver Sean Smith (now playing for Rose Bowl-bound Iowa), the Olympians captured the Desert-Mountain Conference championship with a 39-17 victory over Harvard of North Hollywood. Since then, Carnes said it has been frustrating to watch Leuzinger come up short in its quest for another title. "When you win a (CIF) championship, it's like nothing is good enough after that," he said. "We had a successful season this year, yet we are looking at it as a year that wasn't very successful." Leuzinger tied Hawthorne for the Bay League title and finished 8-4, giving Carnes a career record of 56-22-6, including 8-6 in the playoffs. Leuzinger's other titles under Carnes came in 1984, 1985 and 1987, all in the Pioneer League. He will remain a teacher and athletic director at the school at least until the end of the school year, he said. Carnes, whose teams were characterized by a hard-nosed, aggressive style of play, said he will recommend the school name a new coach as soon as possible. "It's been a good seven years," he said. "I have a lot of things to be proud of."